ATLANTIC CITY – A 5-month joint investigation by the Atlantic County Prosecutor’s Office, the U. S. Attorney’s Office in Camden, and local, State, and Federal law enforcement agencies, culminated yesterday in the arrests of members of a significant illegal drug trafficking organization operating in the Atlantic City area, and disrupting a supply chain extending to a drug cartel in Mexico, Atlantic County Prosecutor Jim McClain announced today. 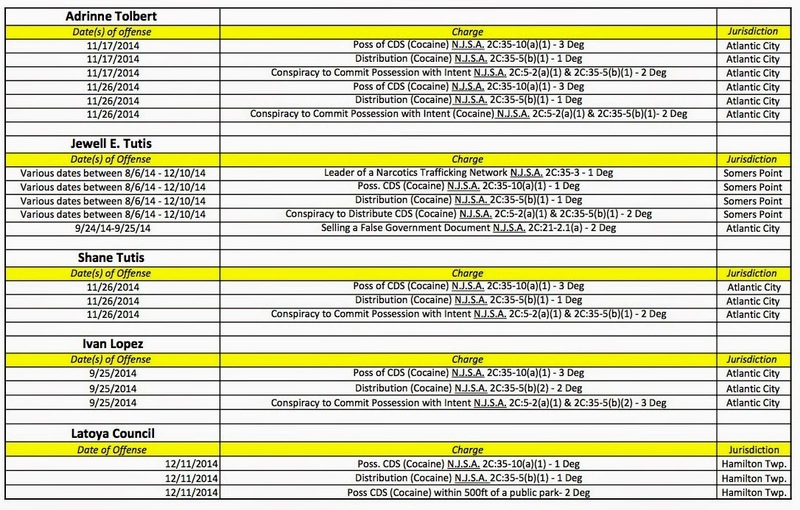 Early yesterday morning, Thursday, Dec. 11, 2014, Detectives of the Atlantic County Prosecutor’s Office, the Atlantic City Police Department, the FBI, the DEA—armed with State and Federal arrest warrants—arrested 16 individuals in Atlantic City, Hamilton Township, Somers Point, Pennsylvania, and California. Additional arrests are pending. One of these individuals, Jewell Tutis, has been charged under New Jersey law as a leader of a narcotics trafficking network and faces a possible life sentence with a 25- year parole disqualifier. Agents, detectives, and police officers yesterday executed 13 simultaneous search warrants in locations throughout the County. These search warrants resulted in the seizure yesterday of approximately 40 bags of heroin, more than a kilogram of crack cocaine, 2 lbs. of marijuana, approximately $125,000 in cash, 8 handguns, one shotgun, 2 Tasers, ammunition, 3 ballistic vests (bullet-proof body armor), 10 motor vehicles, the contents of 3 bank accounts, and 8 parcels of real estate. During the investigation phase of the operation prior to yesterday’s raids, law enforcement seized approximately $160,000 in cash, 10 kilos of heroin, and 4 kilos of powder cocaine. The street value of the drugs seized during the investigation and execution of search warrants is $2,250,000. The State alleges that this drug trafficking organization distributed large quantities of heroin, powder cocaine, and crack cocaine in the Atlantic City area. 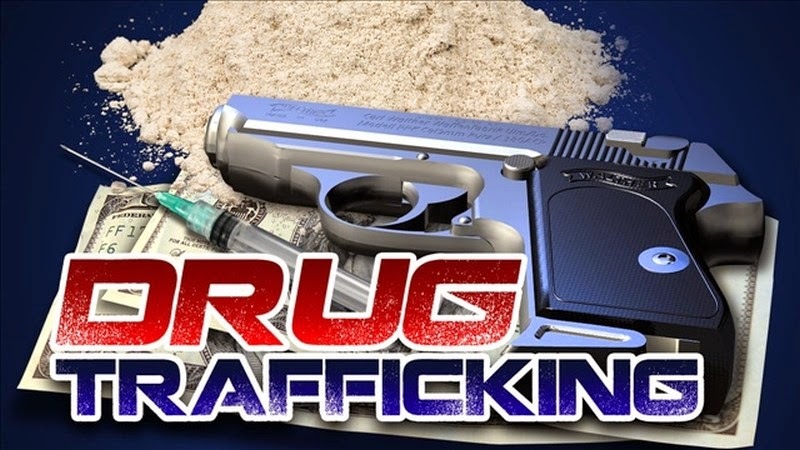 Information developed by law enforcement during the investigation revealed that this organization purchased its heroin directly from the Mexican Sinaloa cartel, routing the heroin through the State of California to New Jersey.